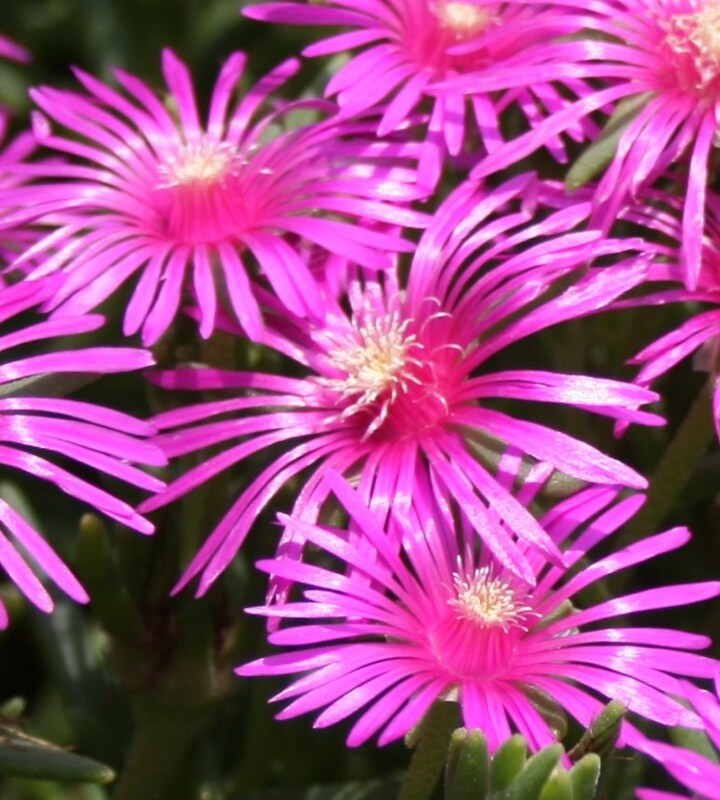 Delosperma Ground Cover: Is the Hardy Ice Plant Right for Your Garden? The hardy ice plant (Delosperma) is a succulent ground cover that blooms from late spring into fall. It blooms in many colors, including white, pink, yellow, orange, red and purple, producing daisy-like flowers that close at night and open as the sun rises. 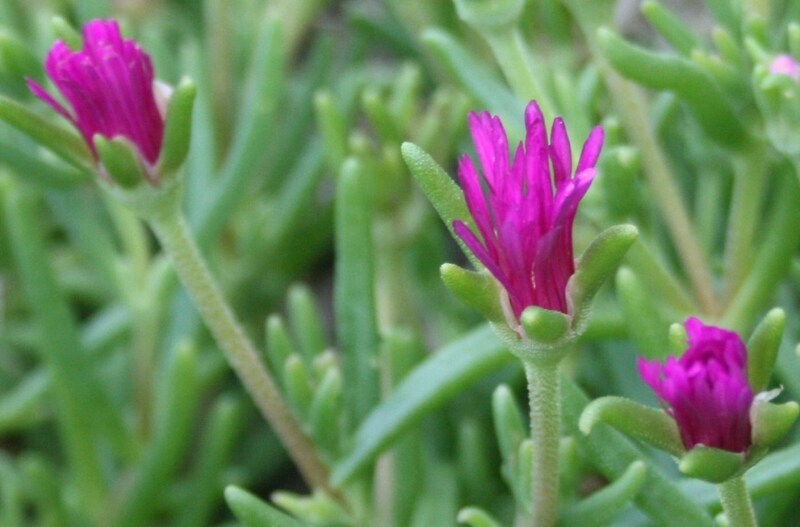 Although an ice plant sounds like a cold climate plant, Delosperma is actually a heat lover. It's common name is probably derived from the little hairs on its stems, which refract and reflect light, sparkling in the sun like ice. My favorite hardy ice cultivar is Delosperma cooperi. 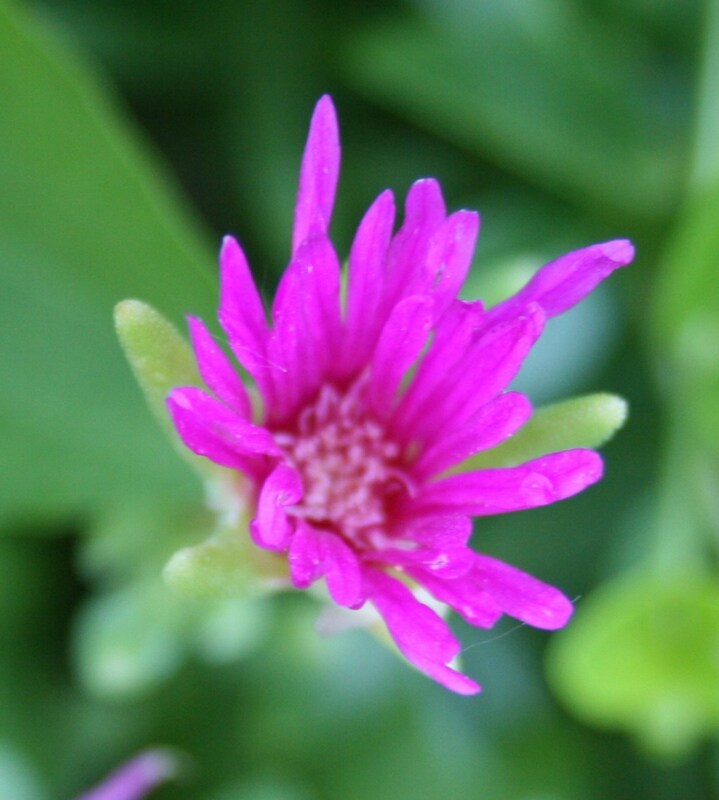 Commonly called the hardy purple ice plant, it too is rather misnamed, producing flowers in a vivid shade that's more pink than purple. My husband bought our Delosperma cooperii at a plant sale at his place of work. It's super easy to care for and easy to share by division in the spring. We've given divisions to my mother, his mother and several friends, and our hardy purple ice plant is still going strong along the foundation of our home. Is the Hardy Ice Plant Right for You? If you answer yes to one or more of the questions below, then the hardy ice plant is probably a good choice for your yard. Are the summers in your area extremely hot? 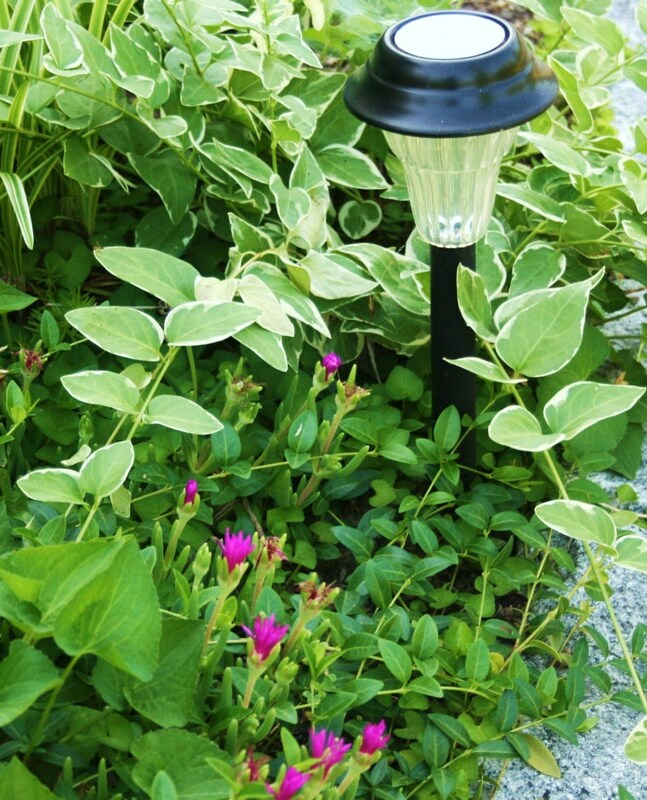 Do you need a ground cover for dry, full-sun areas? 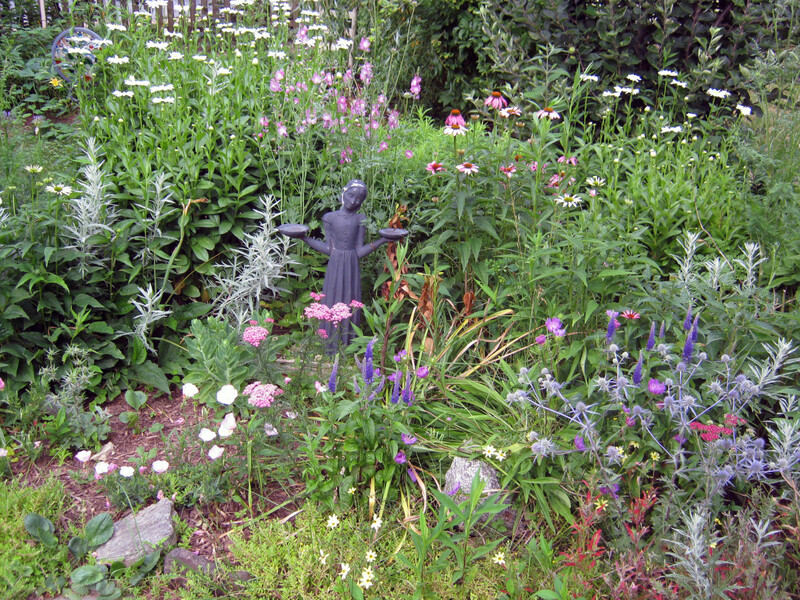 Do you like low-maintenance perennial plants? 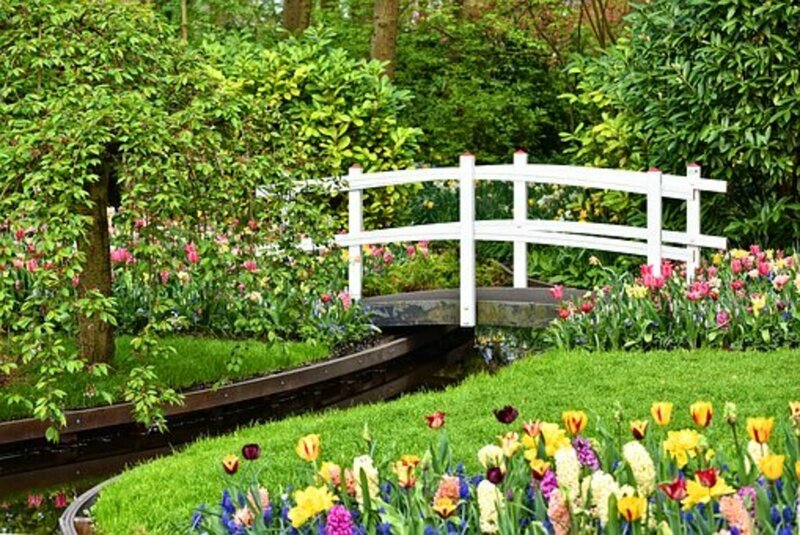 Do you prefer plants with showy flowers? 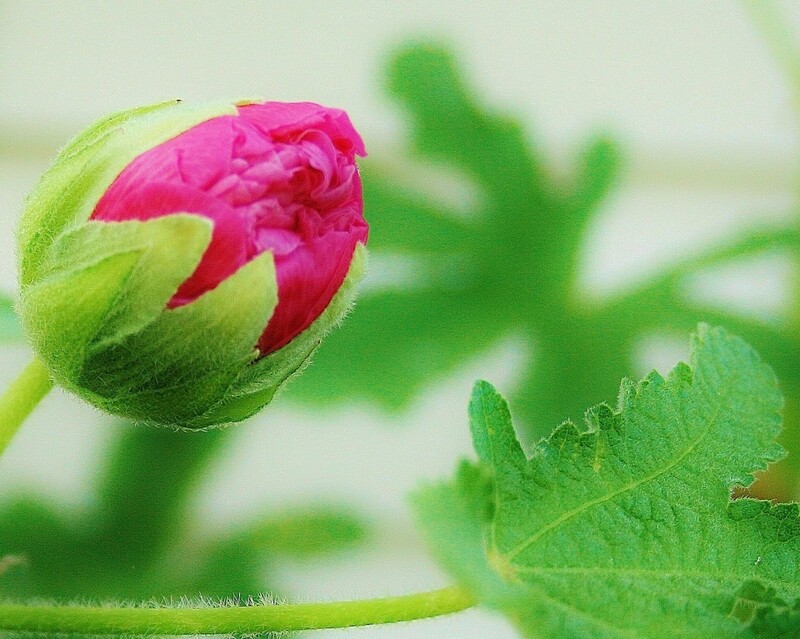 Are you looking for plants that will grow in poor soil? A South African native, Delosperma boasts water-retentive leaves that not only make it drought resistant, but also fire retardant. 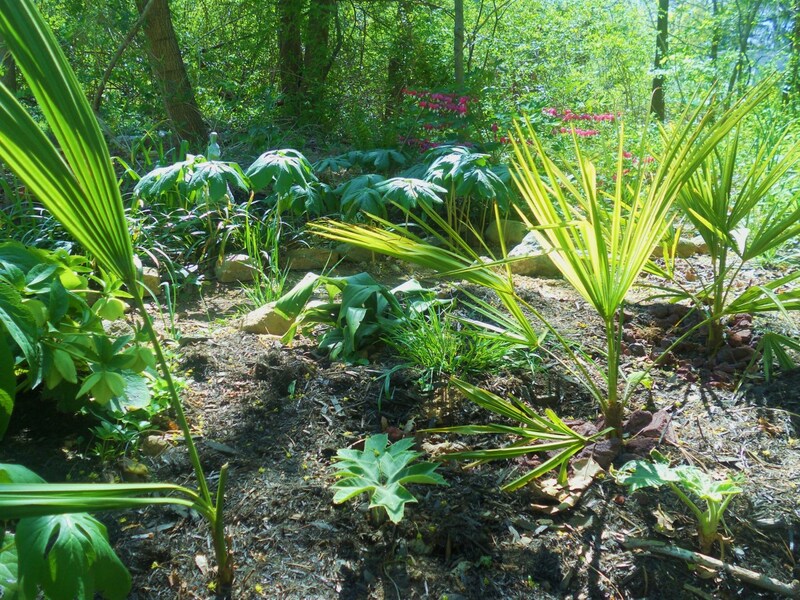 If you live in an area that experiences hot, dry summers, it's the plant for you. Other plants may melt in the sun, but the hardy ice plant keeps going strong. If the weather's excessively hot and dry, you may have to water Delosperma occasionally--but not too much. It doesn't like a lot of water. 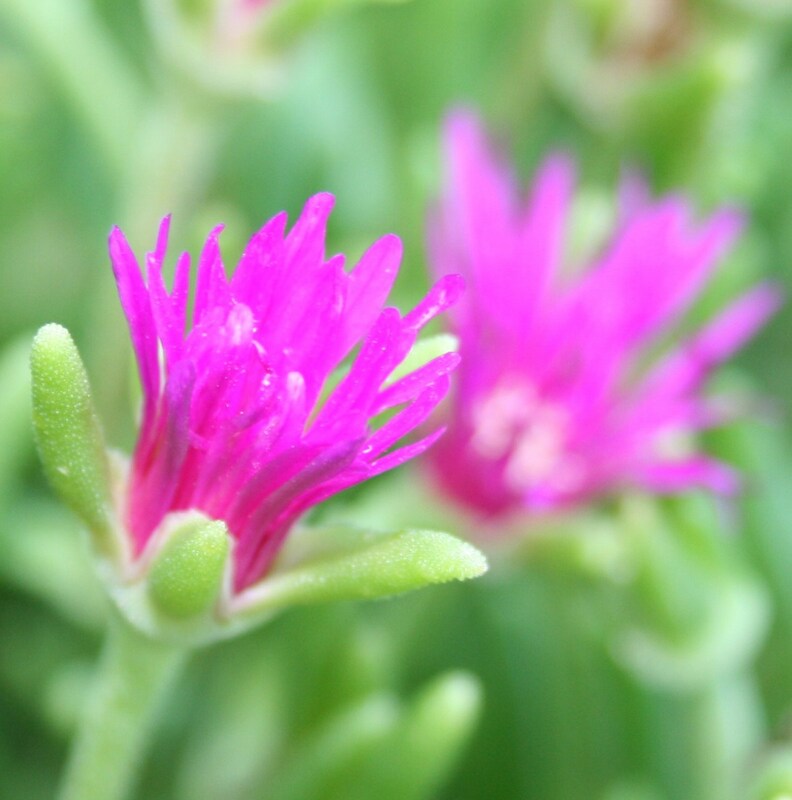 The hardy ice plant develops blooms in late spring, and it continues blooming until the first frost. 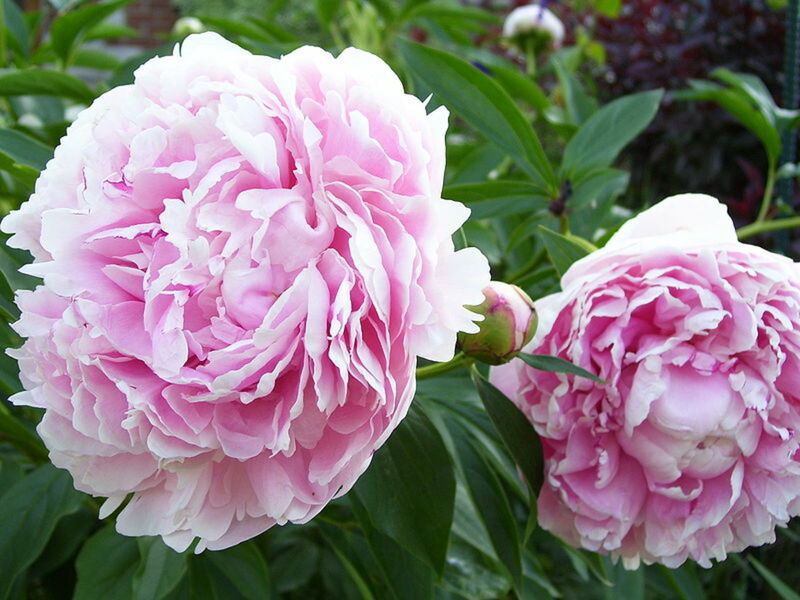 It's not only a long bloomer, but it's a prodigious one as well, producing blankets of flowers. In locales with mild winters, Delosperma will stay green year round. Unlike wave petunias and other trailing flowering plants, you won't have to clear away Delosperma's spent blooms. They're virtually unnoticeable. You won't have to water frequently either, but you will have to weed sometimes. The hardy ice plant doesn't develop a thick mat of greenery that chokes out weeds like some heat-loving ground covers. Hardy ice doesn't mind poor soil, but it does demand good drainage. Plant it on sunny banks where little else will grow. but don't plant it in soggy, boggy locales. Delosperma hates wet feet and will die. What should I do during the Michigan winter to protect a hardy ice plant? I looked up Michigan's hardiness zones on the USDA's website: Zones 3-6. I'm not sure where you are, but if you're in a 3-5 zone, Delosperma cooperi grows as an annual there and, as a drought-hardy plant, would have difficulty surviving a cold, wet winter. 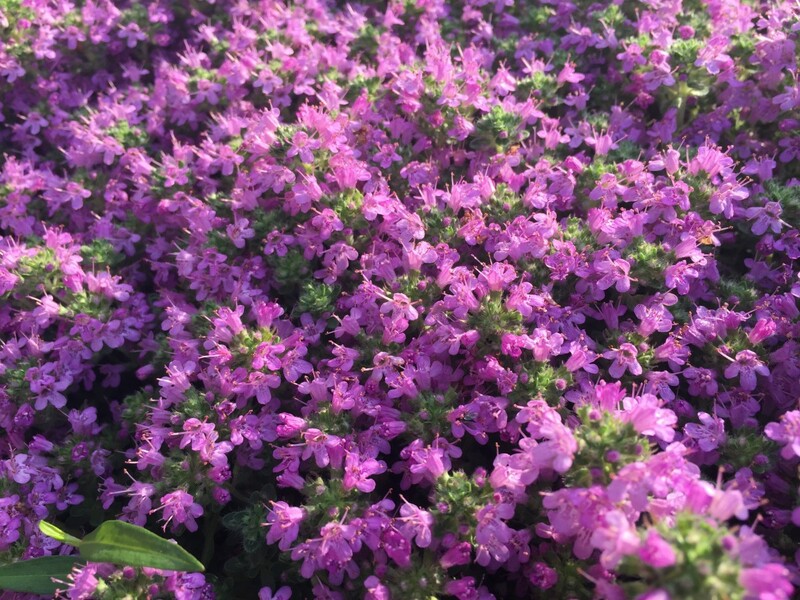 You could grow it in pots and bring it inside, but, it's not a good choice for you if you're looking for a ground cover. If you're in Zones 4-6 and want a Delosperma that's more winter hardy; you might try a newer variety than cooperi, such as Delosperma Alan's Apricot, which is hardy in Zones 4-10. Alan's apricot doesn't have the dazzling color of cooperi, but it's more cold hardy. Will the ice plant help choke out English ivy? I have cleared a flowerbed of the ivy, but I know some of it will resprout. Will this help to keep the ivy from growing? English ivy is an invasive where I live, and it sounds like it is where you live, too. The ice plant won't choke it out because it's not invasive. You'll probably have to clear the bed of ivy every year. 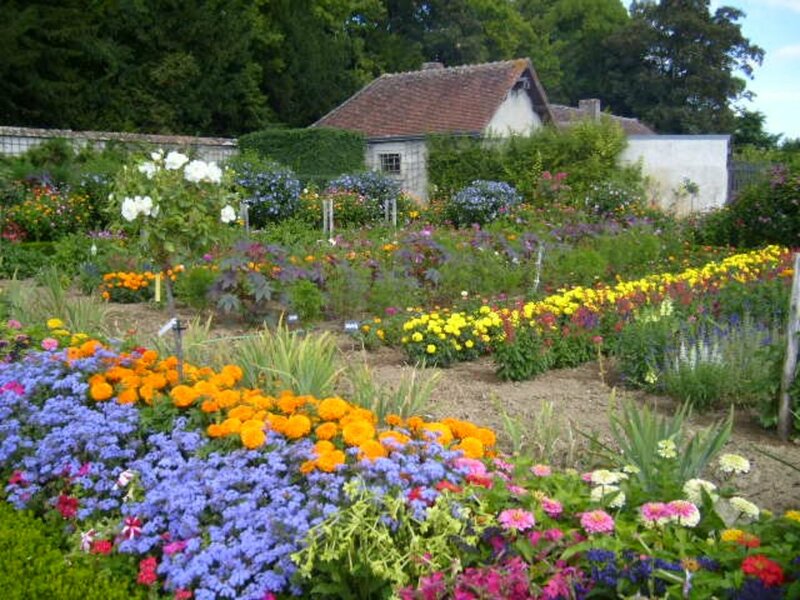 This is something I do in my beds with Vinca major. The good news? It gets easier each year, and eventually, I won't have to do it. On the bright side, the ice plant certainly won't hurt your efforts. Keep at it! I'm rooting for you. 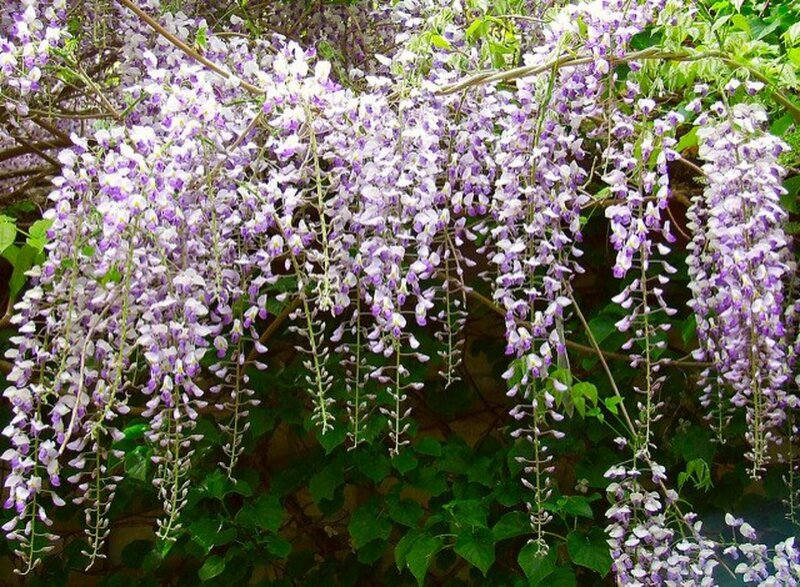 A beautiful plant that I had not heard of before so thank you for sharing and I vote up. You're welcome, Peggy W. Thanks for stopping by! I remember seeing banks of ice plant in bloom along the famous 17 mile drive in California. Absolutely beautiful! Never thought about growing it in our garden. Thanks for the idea. Excellent, I've been wanting something to plant that didn't require watering or mowing and ice plant just might fit the bill. And Q, I'd recommend spring or (if you live in Zone 8 or above) now OR spring. Thank you, gogogo. I've been working on my photography skills, particularly macro shots. Getting the exposure right is so tough! Thanks for this - I had totally forgotten this marvelous plant - guess I will be putting in the ground early next spring - or when do you suggest? Although I would not like to have ice plant in my back yard, I love having it in the greenbelt areas of my community, and along the highway!